God of War: Ascension is slicing its way to North America on March 12th. To celebrate, Sony is releasing the penultimate God of War PlayStation 3 bundle. The God of War: Ascension Legacy bundle includes both God of War: Ascension and God of War Saga, which is a collection of all five previous installments in the God of War series. This 500 GB Garnet Red PlayStation 3 will also come with a 30-day free trial to PlayStation Plus. The bundle will retail for $349. Currently, there is no information on whether this bundle will see release in other regions. 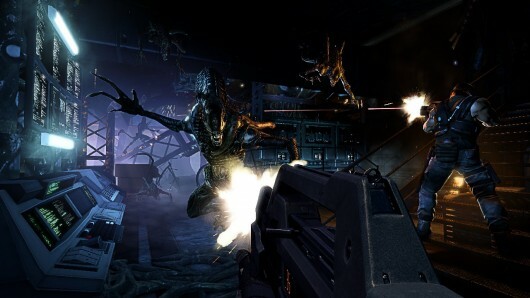 A season pass for Aliens: Colonial Marines has raised blips on a few retail radars, including GameStop, Green Man Gaming and Amazon. It looks like "season passes" for first-person shooter DLC are becoming about as inevitable as an android's betrayal. Usually $30, though discounted to $27 on GMG and GameStop, the season pass promises access to four packs of downloadable content at a discount of 33 percent. The packs will run from this March until summer, and they promise "campaign content, additional multiplayer maps, new modes, character customization and more." So far, the season pass is only showing up for the PC version of Colonial Marines, though it's reasonable to assume it will be available for the Xbox 360 and PlayStation 3 versions as well. Aliens: Colonial Marines DLC season pass spotted originally appeared on Joystiq on Thu, 31 Jan 2013 18:30:00 EST. Please see our terms for use of feeds. These days, those of us who are fans of Japanese video games are in a constant state of hope - hoping that a cool looking Japanese game will be brought to our shores. In the case of 3DS games, Nintendo is hoping to be a driving force in bringing some of those titles to new continents. At Nintendo's third quarter financial results briefing, president Satoru Iwata mentioned that third-party developers in Japan have been assigning their top teams to 3DS projects, and that Nintendo will be working with them to release their games overseas. Masahiro Sakurai, known for his work on the Kirby and Smash Bros. series, is suffering from repetitive strain injury in his right hand, according to a column that he wrote in Famitsu magazine. Sakurai writes that his RSI has become severe enough that "it's starting to restrict my work and lifestyle...Using a mouse, keyboard or gamepad make my arm tired, so I can't use them in a continual manner". For those who no longer need to be sold on necromorph dismemberment: don't watch this trailer. There's some stuff in here that may activate your spoiler sensitivity. 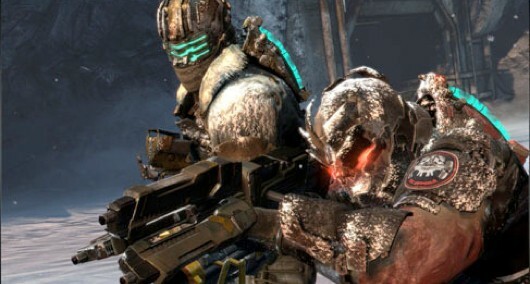 If you're all-in on Dead Space 3, don't watch this trailer originally appeared on Joystiq on Thu, 31 Jan 2013 15:30:00 EST. Please see our terms for use of feeds. Codemasters have announced the release date for their upcoming racing title, GRID 2. The sequel to one of the best racing games of the generation is set to hit UK stores on the 31st of May this year. No word yet on a North American release date, but it's reasonable to assume it's around then as well. The UK's special edition has also been announced. It features extra content, redeemable via download on PlayStation Network, Xbox LIVE for Xbox 360 and Windows PC (illustrated in the screenshots below).